There are approximately 75 field codes which can be queried inside of AcclaimIP. 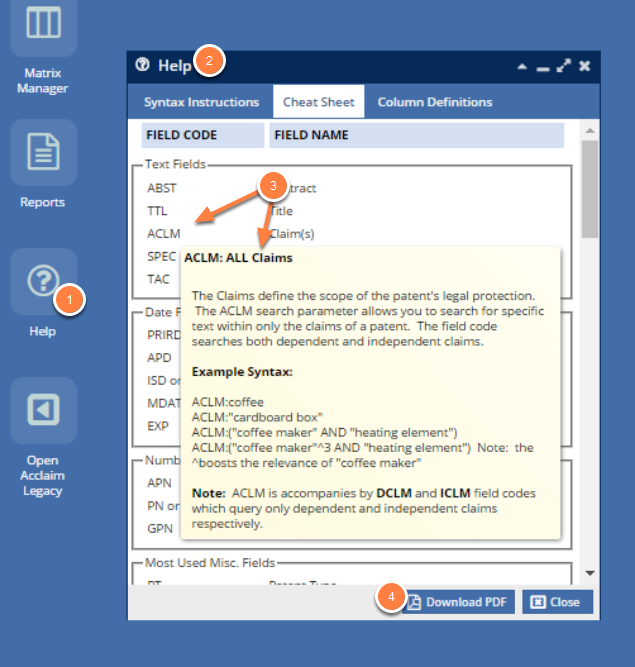 AcclaimIP provides users with multiple resources for learning about Field Codes - what they are, how to use them, and when they are appropriate to use. When viewing the Cheat Sheet tab, hover your mouse over a Field Code (3) and a context sensitive tooltip will appear. Download a single page printable PDF version of the cheat sheet by clicking the Download PDF (4) button. Clicking the Download PDF button in the Help window downloads this handy field code reference guide, or cheat sheet. 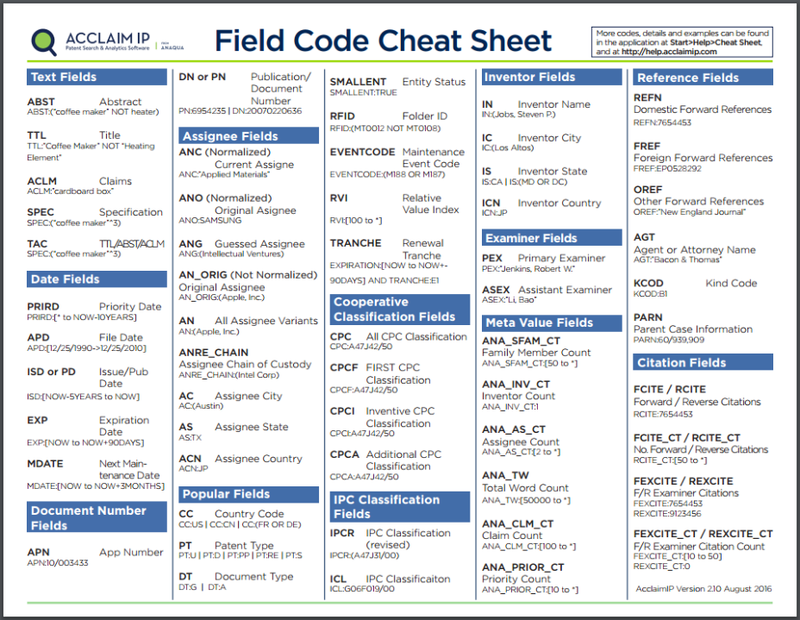 The one-page cheat sheet contains a subset of all the field codes available to you. A complete listing is contained in this help guide.